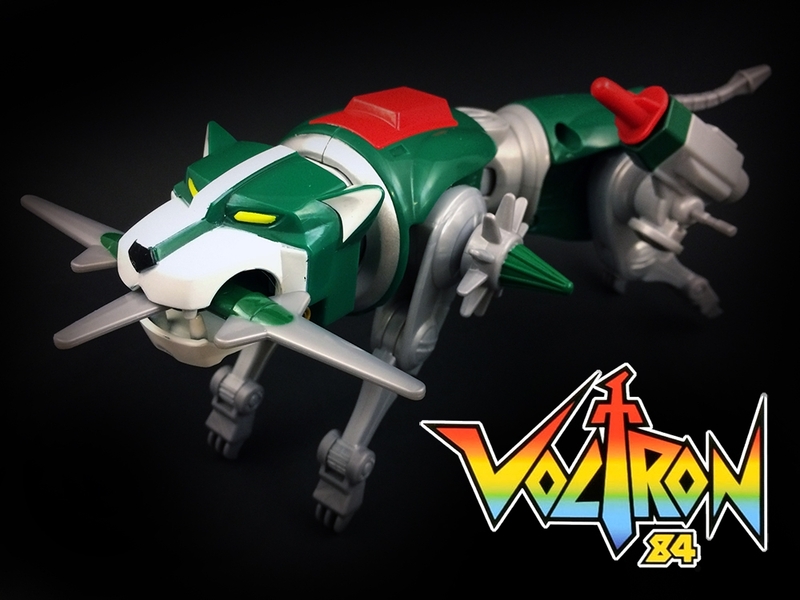 We’re continuing our look at the Classic 84 Voltron Lions made by Playmates. 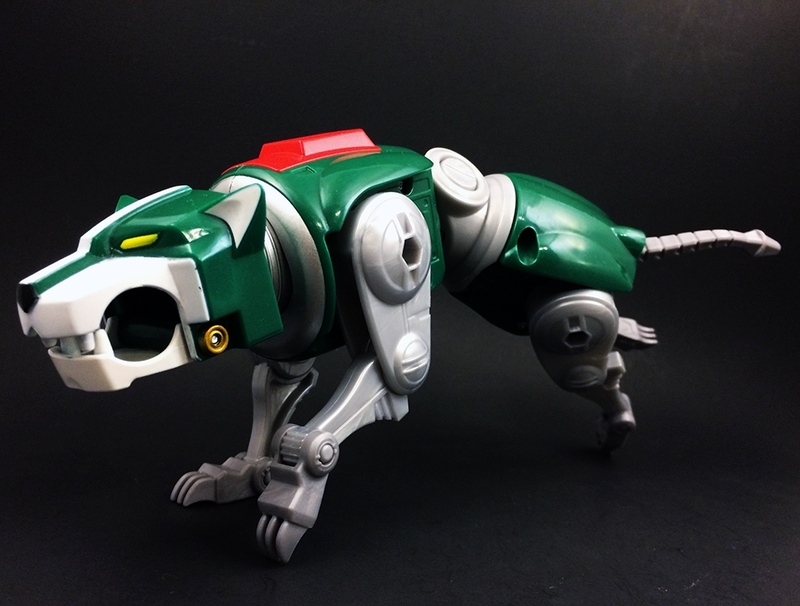 Today we’re looking at the Green Lion piloted by Pidge and forms the left arm of Voltron. 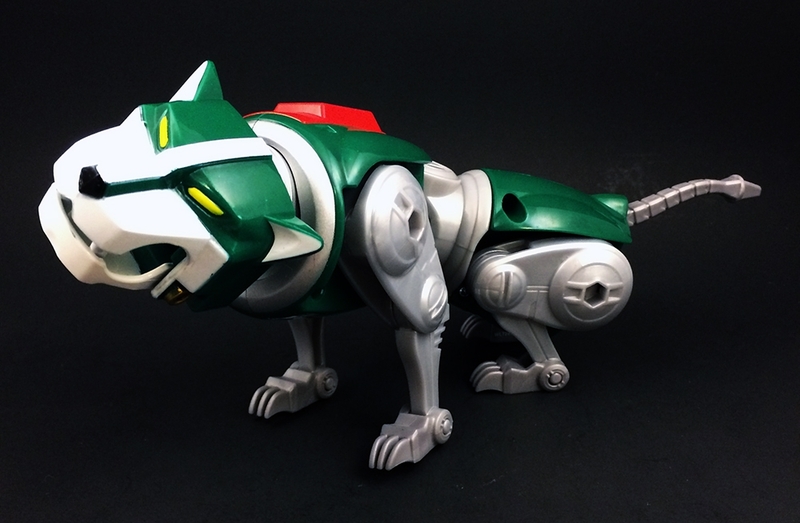 The Green Lion comes with the same three types of weapons as all of the other lions (spring loaded missile launcher, Mouth Blade and shoulder weapon) However, since he forms one of Voltron’s arms, he also comes with the large Voltron Shield. 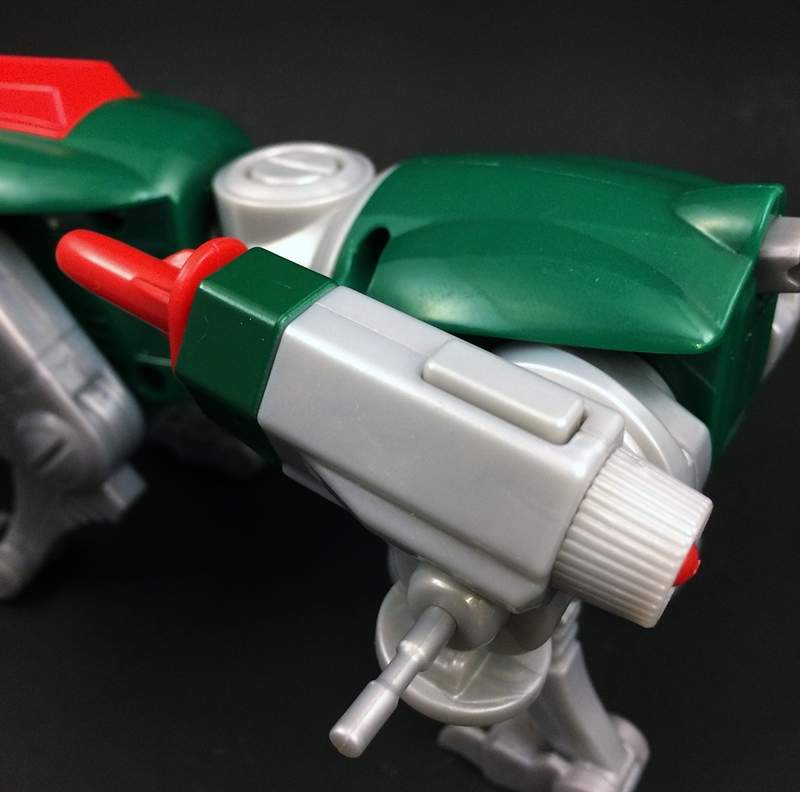 One of the aspects I love about all of the weapons that come with the Lions is that they all have a painted part on them that let’s you know which lion they go to. 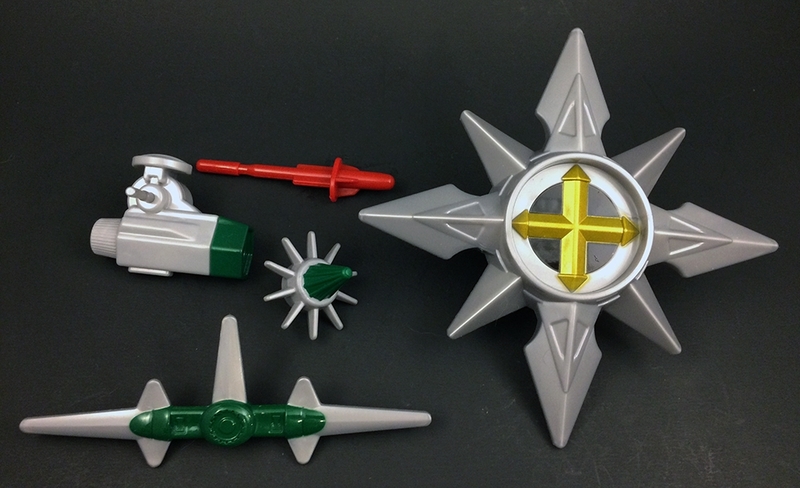 The three Green Lion weapons have a green painted piece each, there’s yellow paint apps on the Yellow Lion’s weapons, blue paint on the Blue Lion’s and red paint apps on the Red Lion’s accessories. 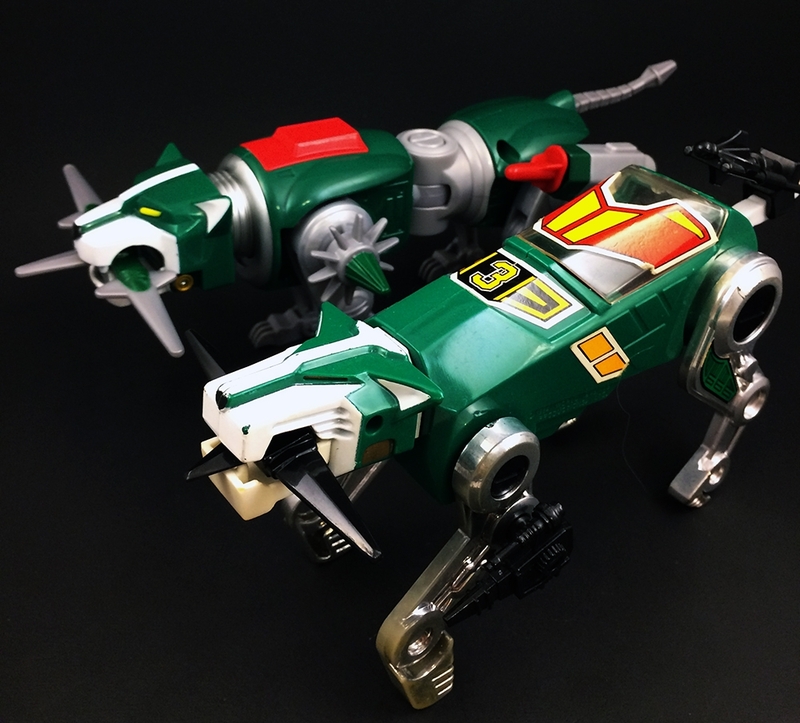 This was a stroke of genius as it’s always hard to remember which lion gets which weapons with the vintage toys. 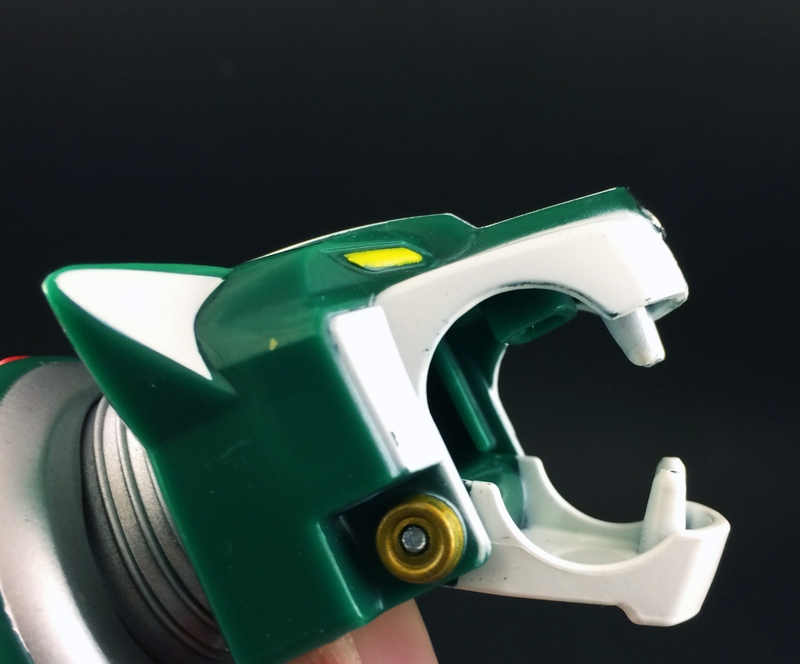 While there is no sculpted Sting Ray missile in the Green Lion’s mouth, there is the same hole that allows the mouth blade to be plugged into it. 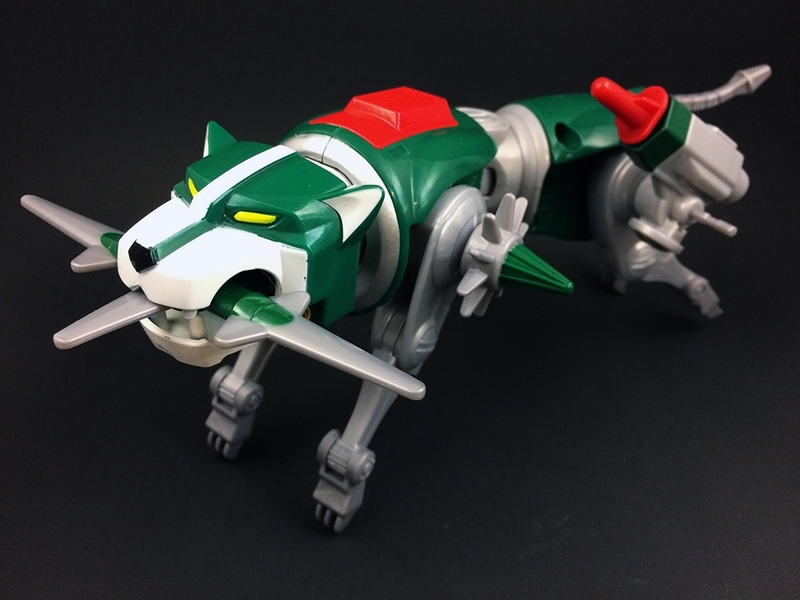 Having grown up with the vintage Panosh Place Voltron Lions, I’ve come to expect the tails to be the connecting joint when forming Voltron. I’m happy to note that Playmates went a completely different route! 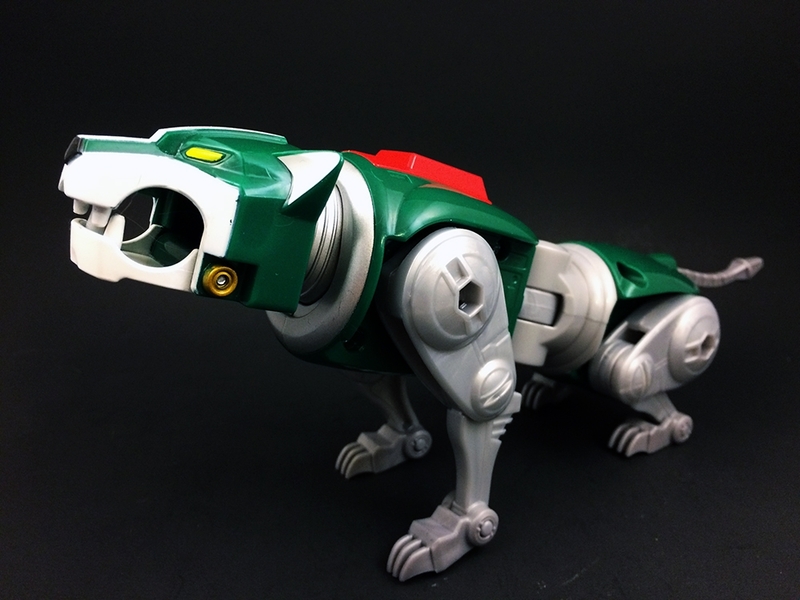 The tail is a flexible rubber that can be pushed into the body of the Green Lion while the connector joint is a flip out peg on the underside. 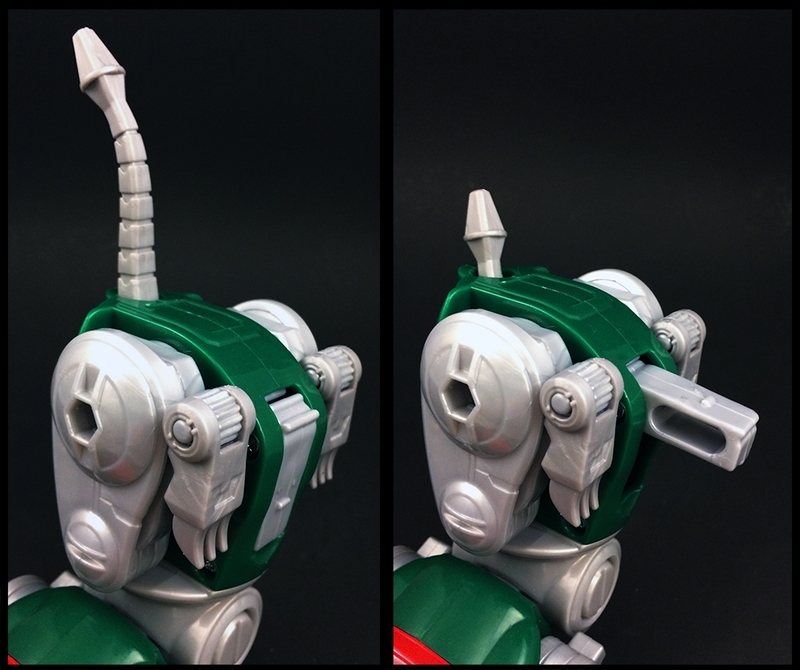 Since the tail is a separate piece inside the body, it can also rotate some to allow it to curve downwards or upwards. 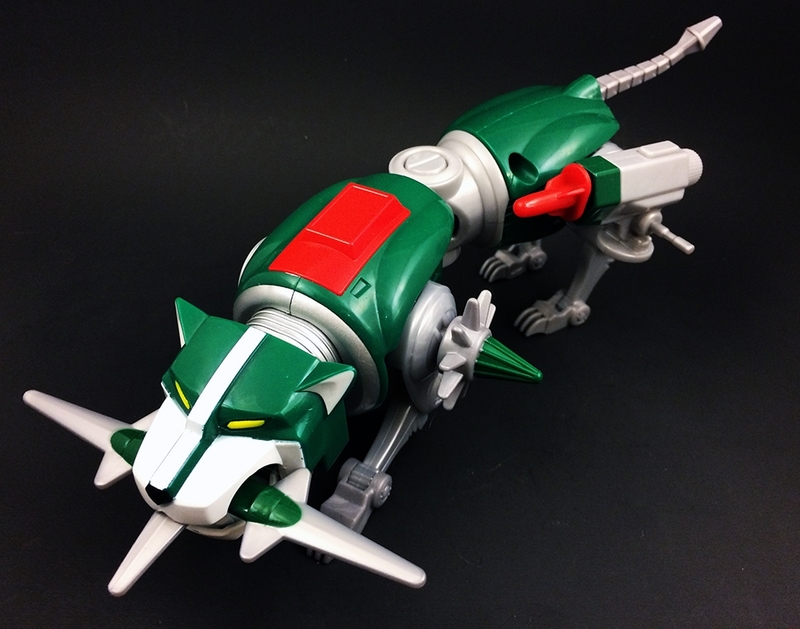 This is a nice touch to give you a little more personality when posing the Green Lion. 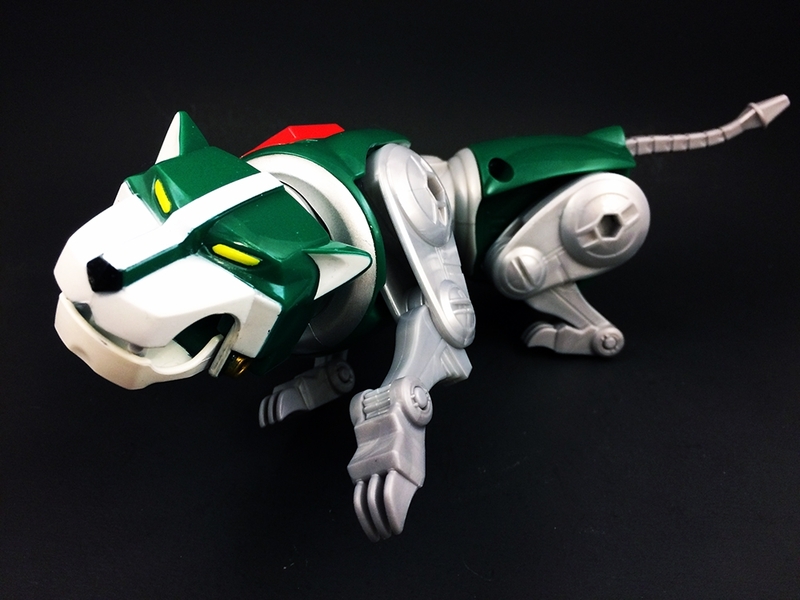 As with the Yellow Lion, The Green lion is longer than the Panosh Place Lion. 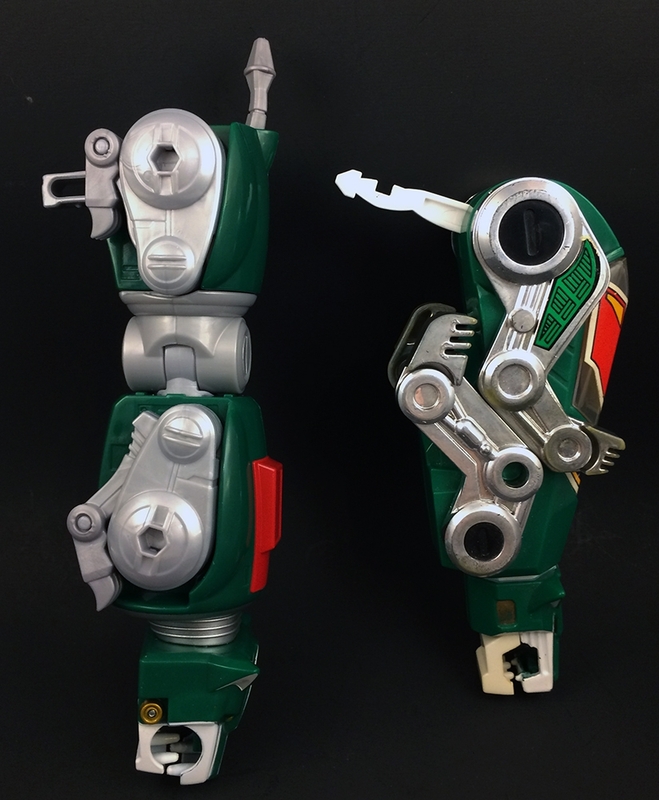 However, due to the Panosh Place lions all using the same legs, the vintage version stands taller than the Playmates Lion. 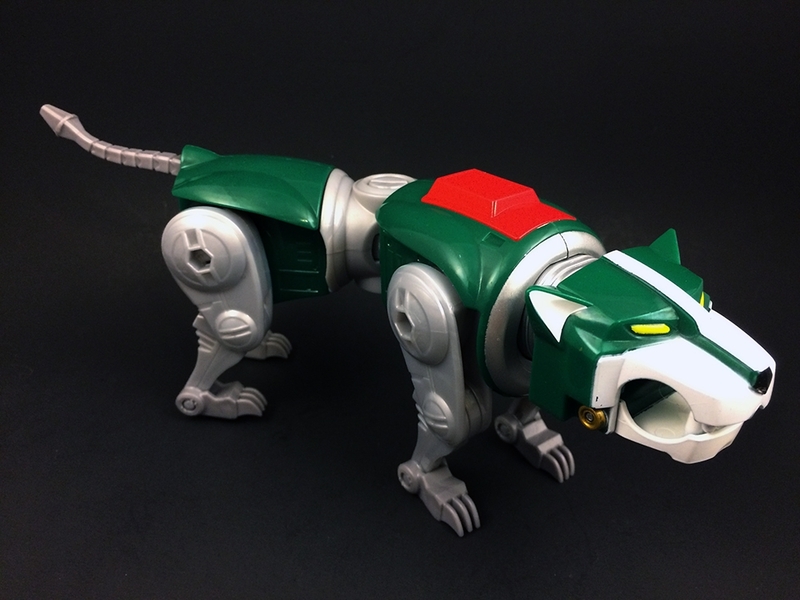 The Green Lion is good and much better than the vintage Panosh Place lion, however, I wish it could have a good sitting stance like the Yellow Lion (I understand why it can’t though) I do really like how Voltron’s arm articulation adds to the Green Lion’s posability.